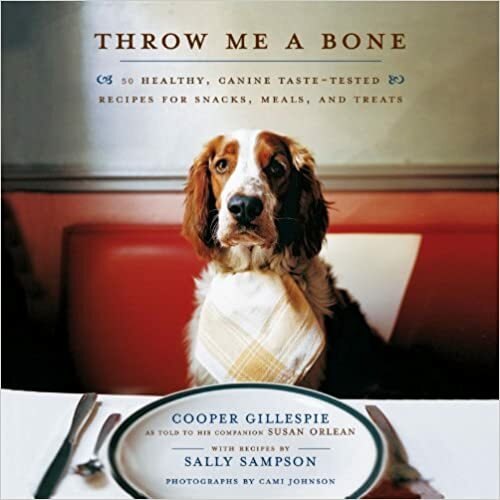 I've selected some of the most popular and highest rated dog treat cookbooks. From the famous Three Dog Bakery. 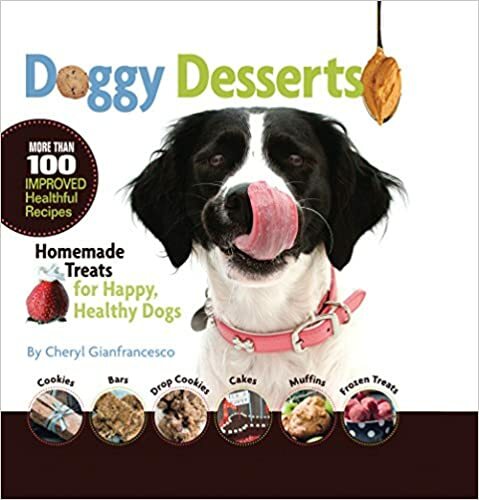 This cookbook is full of easy to make recipes for dog treats, as well as a nice variety of other recipes. 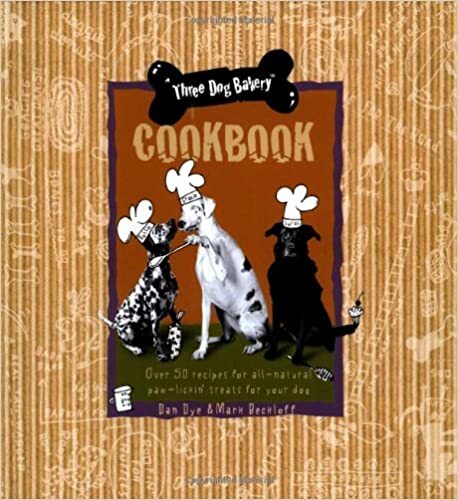 This dog cookbook has quite a few dog meals and a good number of dog treats or snacks, including a dog birthday cake. A few of the recipes do contain garlic--just leave it out of the recipe, as it can be harmful to dogs. Most dogs love the treats, and the book can be given as a gift--because it also has some great pictures! 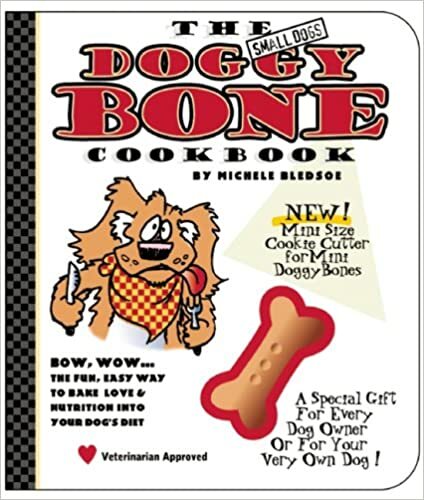 The Ultimate Dog Treat Cookbook is a little different from many other dog treat cookbooks. 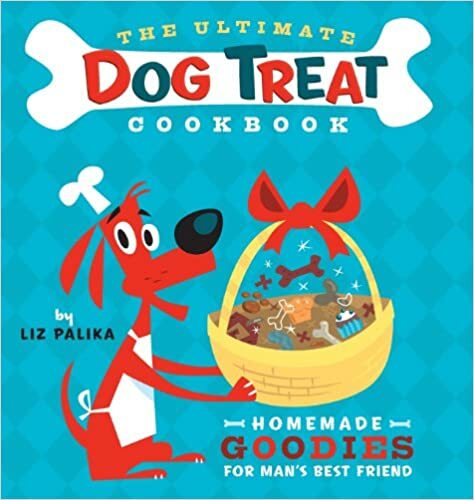 Authors Liz Palika and Troy Cummings have created recipes that are easy to make and use baking mixes and common ingredients like cereal or dog kibble. The recipes include dog treats for dogs with special needs and recipes for birthdays and Halloween. 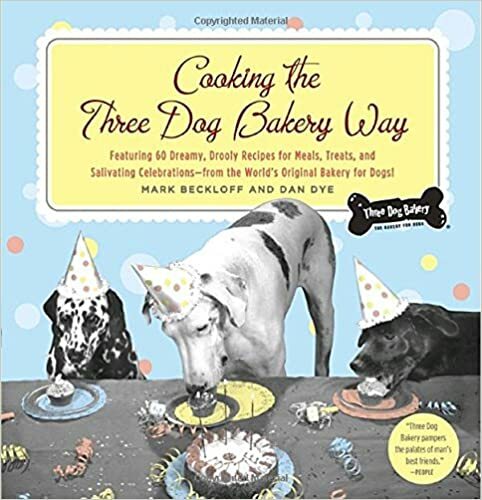 Another favorite from Three Dog Bakery, this cookbook includes over 50 wholesome and healthy recipes. It includes some never before published recipes for the famous bakery's treats. Three Dog Bakery is known for their tasty treats, made from all-natural, healthy ingredients. You will need to omit garlic, onion and raisins from their recipes—no big deal! 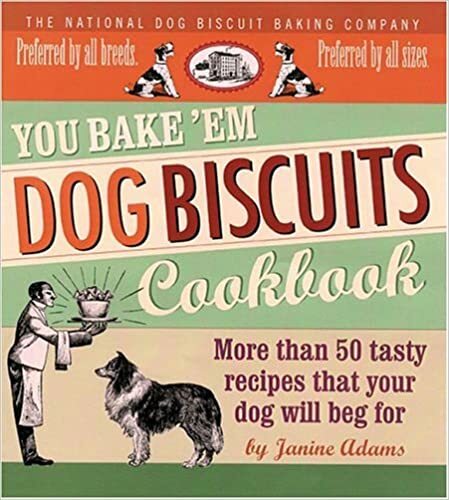 If you're looking for a dog cookbook to make homemade dog biscuits and treats, this may be your book. The easy to make recipes use ingredients you probably already have in the cupboard. There are recipes for grain free treats and also dog biscuits for dogs with special needs. 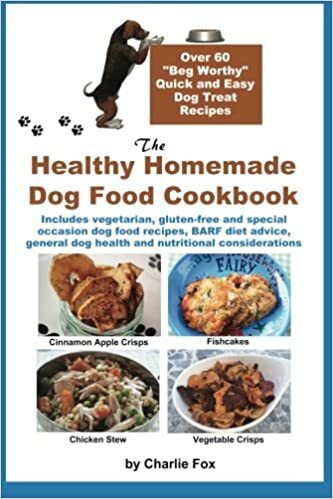 Whether you are looking for dog treat recipes to use for gifts or for a special occasion dog party, you're sure to find some good recipes in this dog cookbook, with over 100 healthy recipes. And you'll find a nice assortment, too. There are frozen dog treats, dog breads, dog muffins, dog cookies, bars and cakes--in addition to dog biscuits and treats! 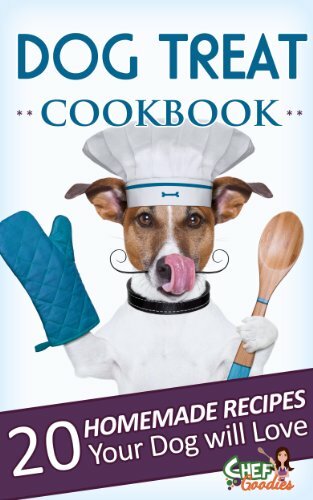 Written by a chef, this cookbook has a variety of easy dog treat recipes and recipes for dogs with special needs. The recipes are easy to follow--easy recipes for kids as well as adults. And the ingredients are healthy and include healthy things like herbs (The only unhealthy ingredient that I noticed was garlic--just leave it out!). A fun book, it even comes with its own dog bone cookie cutter (stores in the book)! A Kindle book with a variety of dog treat recipes, including a discussion of things you should not feed your dog. Homemade dog treat recipes cookbooks are not all the same. The cookbooks above are the ones that dog owners like the best and many of them have quick and easy dog treat recipes that you can make, even if you are just starting to cook! Homemade dog treats ready for the oven. You’ll find that making dog treats can be a fun project for the whole family. And what better way to get your children or grandchildren baking—than to have them make dog cookies or dog biscuits for your dog! When you make homemade dog biscuits or cookies for your dog, you can rest assured that you are using healthy ingredients with no additives. But, when you choose your dog treat cookbook, make sure that you understand the author’s philosophy on feeding her dog. Some homemade dog treat cookbooks have recipes that are quick and easy, but they may not have ingredients that you should use for your dog. And other recipe cookbooks have “gourmet dog treat recipes” that have ingredients that are not commonly found in the grocery store—or they are so gourmet, that you don’t know what they are. Sometimes those recipes are written more for the owner, than the dog! Dogs aren’t that particular about what they eat, so you might want to stick to recipes that have common ingredients and are easy to make!